With the TRAI’s new rule for Cable and DTH field, each provider are introducing budget friendly packages and offers every day. As we reported earlier, even in the time of IPL, Airtel Digital TV and Tata Sky offered free preview of sports channels till may 19th. TRAI’s new rules directs providers to charge users with a fee named Network Capacity Fee (NCF) for every connection which will cost Rs. 130 without and GST and including the GST user needs to pay Rs. 154 in which they are eligible to get 100 SD channels or 50 HD channels within the charge. However, TRAI didn’t fixed the price for the multiple connections and there by asked the providers to fix the rate by themselves. As a result, Airtel Digital TV and Tata Sky already revealed the pricing for the secondary connection where Sun Direct yet to finalize the price. Airtel is offering the second connection at a price of Rs. 80 which was the cheapest. But with the flat Rs. 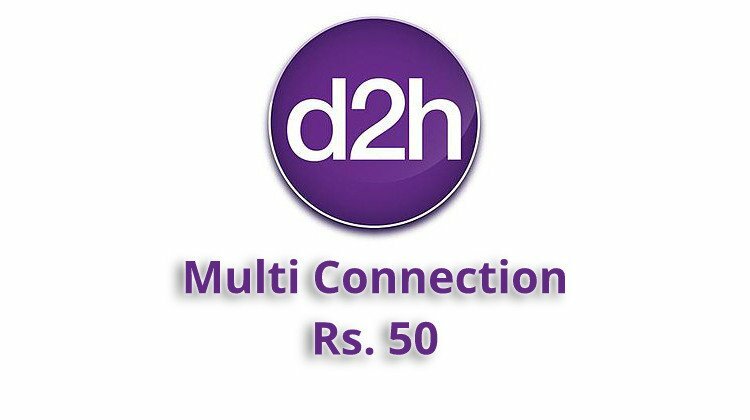 50 pricing, D2H becomes the cheapest Multi Connection provider. As like all other providers, the first connection of D2H user will be charged at Rs. 154 which includes the NCF and 100 SD or 50 HD channels. User opt for additional channels or packs will have to pay the corresponding charge too. If the same user choose for the second connection need not pay again the full NCF, rather they only needs to pay the flat Rs. 50 charge for the second connection. D2H also offers the users the freedom to select their choice of channels for the second connection. The channel selection of D2H is flexible and user can either choose the same channels that of the first connection or can choose an entirely different set of channels. The charges for the channels in the second connection is separate from the first one where user needs to pay the price of the pack or channel opted. As we mentioned above, D2H offers the best price for the multi connection for DTH while compared to Airtel and Tata Sky. But we can conclude it only once Sun Direct announces the price of multi connection.